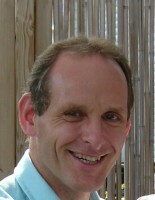 Markus Witte is member of the Excellence Cluster Topoi since October 2009. In Topoi, his main field of research is the construction of space and time in the Hebrew Bible and in its ancient translations in Greek (Septuagint) and Latin (Vetus Latina, Vulgate). This theme is a part of preparing a revised edition of the “Hebräisches und Aramäisches Wörterbuch zum Alten Testament” (in cooperation with Dr. J.F. Diehl). Other research topics of Markus Witte in Topoi are the history of the Jewish literature of the hellenistic era (esp. the wisdom books), the anthropology and theology of the Old Testament/Hebrew Bible and genealogical systems in Jewish-hellenistic writings.